Once you have kids you may feel that all order and simplicity in life goes out the window. And if your family is growing and busy, hectic non-stop days may have become your new norm. But it doesn’t have to be that way. 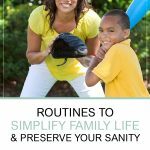 There are ways to simplify family life despite all the chores, appointments, homework, and events. The key to having a simple family life is knowing what to make a priority, what to put off, and what needs to be eliminated altogether. By being selective about how you use your time, you can regain order and connectedness at home. 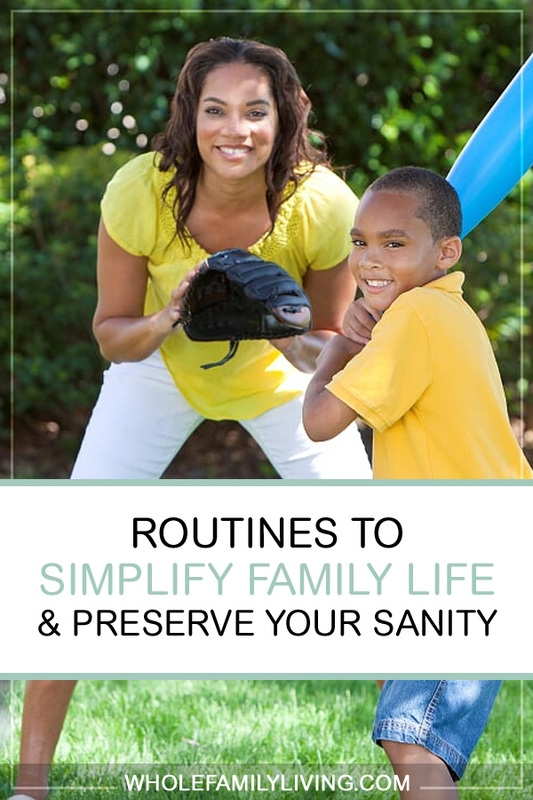 Below is a list of routines that can help you simplify family life. Each one can help you get organized and create space for more time with the family. Try one or two on the list to see how you can benefit from a simpler family life. 1. Create a master family calendar. Whether you have a small family or a large one, it’s likely that everyone has different activities going on. Maintain your sanity by using a calendar. From school assignments, events, play dates, performances, extracurricular activities, gymnastics, and others – having an organized family life starts with managing your time. Stay organized and simplify family life with a master calendar, using one system to track everything. Two great free options are Google Calendar and Outlook Calendar. Enter all activities and events into one calendar. Be sure to allocate time for things like traveling to and from events and appointments, prepping and cooking meals, and organizing your home. Get in the habit of consulting your calendar before you make appointments or commit to additional events or activities. And when you do “book” something for yourself or the kids, be sure to enter it into your calendar immediately. Having a master family calendar is a great way to see your family’s life at a glance and help you to plan and stay organized. 2. Prepare for tomorrow, today. If your mornings are usually hectic and stress-filled, you can turn this around with some simple planning. Rather than wait until morning to figure out lunches, outfits for school, or other last-minute details – do all these the day before. Prepare as much as you can today for tomorrow’s activities. Better yet, batch some of your prep work over the weekend for a smoother week. Tasks such as planning outfits and even packing some of the lunch and snacks can be done on Sunday for the workweek and school week. Having things prepared also makes it easier for the kids to follow the structure that’s been laid out. Rather than you are running around managing every detail of the morning rush out-the-door, kids can be somewhat more independent in getting themselves ready as they know what to wear, what to put in their lunchbox, and that their backpack is already put together. Simply enjoy a nice breakfast together, groom, and head out the door. Give everyone a stress-free start to the day by planning. 3. Establish a regular nightly bedtime routine. Children thrive when they have set routines. This means having a structured environment where things are predictable and consistent. Setting up a bedtime routine is a great way to help them wind down from a busy day. It’s also an opportunity to connect one more time as a family. A bedtime routine might consist of taking a warm bath or shower, having a light snack, brushing teeth and flossing, getting in their jammies, reading, and saying prayers. In addition to the routine, it’s important to have a regular bedtime every night too, even on the weekends and holidays. Studies show that having a regular nightly bedtime routine helps young children sleep better. 4. Create a weekly schedule. In addition to using a master calendar to manage your family’s appointments and commitments, create a template of your weekly routines. Put this into a written or printed form and post it somewhere visible for everyone in the family to see. What you include in your weekly schedule depends on the activities that fill up your family’s calendar on a regular basis. Think about including weekly, repetitive chores like laundry, housework yardwork, or paying bills. Add things that occur every week like practices, lessons, grocery shopping, cleaning day, or other routine errands. Personalize this schedule with the things that happen or need to be done regularly. Having this at-a-glance resource to refer to will help everyone to know what to expect each day and keep your home running more smoothly. 5. Set aside regular family time. Make time for family on a regular basis. This might mean sitting down together as a family for dinner every night. If that’s not possible due to schedules or activities, aim for a few nights per week or at least a “family day” every week. Set rules for your family time to ensure everyone is engaged. This might mean banning devices during family time. This is a distraction-free time to reconnect as a family and support one another. 6. Maintain the home together. Whether it’s making beds, doing laundry, or preparing meals everyone can be involved in taking care of the home environment. Set the expectation that each family member has certain responsibilities. For little ones, it may be simply learning to fold their blanket and straighten their bed each morning or putting their toys away after playtime. Older kids may able to help with tasks like cooking, cleaning, or washing vehicles. Assign chores that are appropriate for your child’s age and maturity. Also, create opportunities for the whole family to work on household tasks together. This is a great way to spend quality time as a family. It can also help teach your kids valuable life skills as they mature. Getting everyone into the routine of keeping the home clean will help to greatly simplify family life. And having a positive, upbeat attitude about maintaining your home will set the tone for participation. So, make it fun! Have a declutter challenge where everyone wins the prize of a clutter-free home at the end. 7. Be physically active as a family. Our trend towards being a more sedentary culture is not just affecting adults; it’s affecting our kids too. 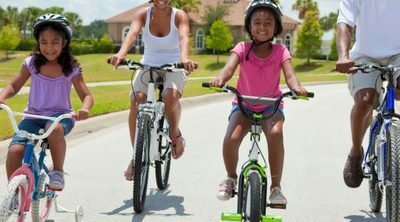 Kids have become hooked on inactivity and unhealthy eating habits, spending excessive amounts of hours “connected” to devices every day and consuming less-than-healthy foods, snacks, and beverages. Nip this in the bud by helping your kids to become more active. You can do this by developing an active lifestyle for your whole family. Set aside time daily or multiple times per week to be active with the family. Get the kids off their screens and outside to enjoy a walk, bike ride, or game of kickball. Play freeze tag or frisbee. The key is to get the whole family moving and having fun at the same time. There are many benefits to this. 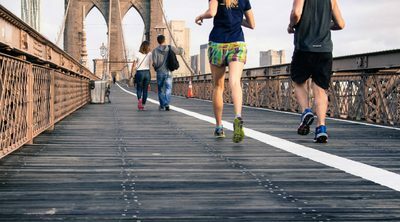 As you become more active, you’re naturally producing stress-relieving hormones, bonding as a family, and getting the kids off technology which has damaging effects on kids when over-consumed. Being physically active as a family is an easy way to simplify family life and boost everyone’s health. Get more like this every week by joining my newsletter. I’ll send you weekly tips and solutions to help your family thrive in health, work, and home. As a subscriber, you’ll receive immediate access to the Stress Management Workbook for free! 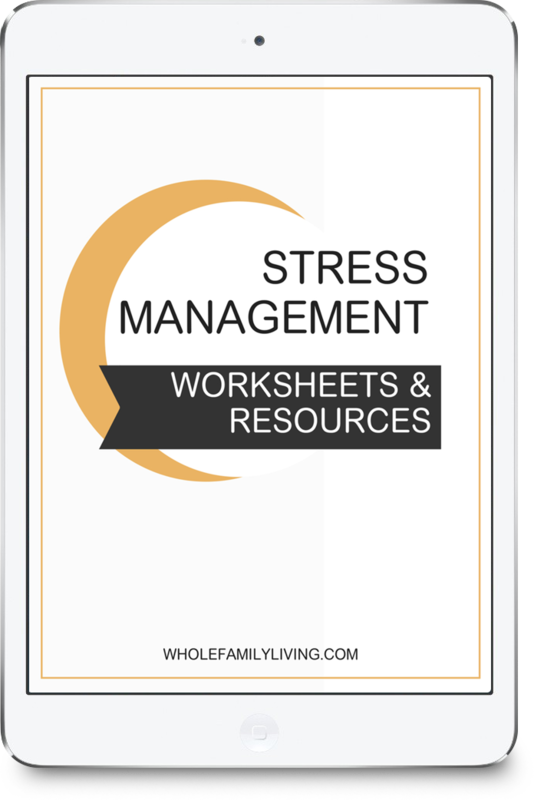 The workbook has all the tools you need to identify stress and create your stress management plan. Grab a copy below. 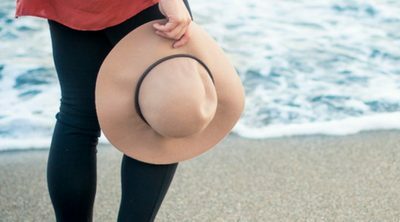 Get the tools you need to lower stress and create more balance in health, life, work, and home. Enter your details below to sign up and get started with your stress workbook.